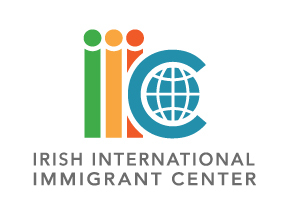 We are pleased to invite you to join current and former staff and volunteers of the Irish International Immigrant Center (formerly the Irish Immigration Center) for a celebration of the Morrison Visa Program’s 21st anniversary on the evening of Thursday, September 27th. The Morrison Visa program changed the lives of many for the better, including IIIC board members Peter Kelliher and Peter Rice. The bill, initiated by Congressman Bruce Morrison in 1990, benefited countries disadvantaged by the 1965 Immigration Act. The evening will begin at the IIIC with a drinks reception at 6:30 pm. Guests will have the opportunity to take tours of our offices and things have changed since 1989 and the basement office in Dorchester. Come have a look! There will also be food, music, and a chance to socialize before the party moves next door the Elephant & Castle pub for more fun and prizes. The celebration will be wonderful opportunity to learn how the IIIC and those it has helped have changed and grown over the past two decades. We hope to see you there! If you wish to attend, please call (617) 542-7654 to RSVP or email tearls@iiicenter.org. A $20 donation is suggested. Proceeds will support the continuation of IIIC programs.